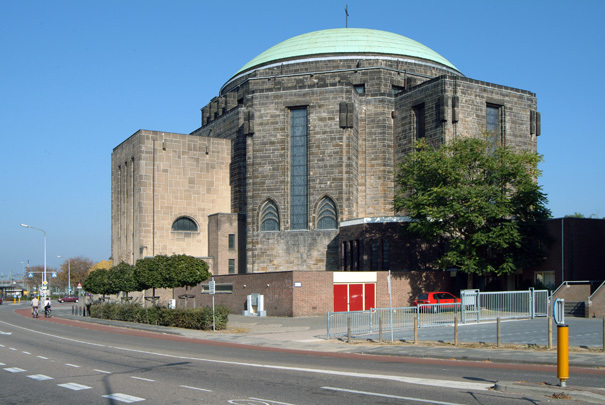 In 1920 work began on the Netherlands' first reinforced concrete church. Projected in three phases, it was never completed and the towers are little more than rudimentary. Originally the facades were clad in limestone from the Eifel region in Germany, but when this proved to turn black the choice then fell on a harder tuff stone. Inside the octagonal main space the concrete has been left untreated. The interior exhibits oriental and Byzantine influences and boasts a number of art works. Outside, blocks of natural stone still await an artist's touch.